1862: Vietnam became a French colony. October 1930: Ho Chi Minh established the Indochinese Communist Party which was transformed from Vietnam Communist Party in Hong Kong. September 1940: Japanese army invaded Vietnam. May 1941: Viet Minh (League for the Independence of Vietnam) was formed at Pac Bo under the leadership of Ho Chi Minh to fight against the Japanese. 1946: The First Indochina War started between Viet Minh and the French. 1950: U.S President Harry S. Truman denied the legitimacy of North Vietnam even though both Soviet Union (USSR) and China recognized Ho’s government. The French was defeated in the Dien Bien Phu Battle. The Geneva Accords created a ceasefire which temporarily split Vietnam into North and South at the 17th Parallel. Nearly 1 million North Vietnamese, primarily Catholics, were encouraged to flee South while some 80,000 South Vietnamese, mostly Viet Minh sympathizers, moved to the North although around 10,000 Viet Minh were instructed to remain quietly in the South. 1955: Diem became President of South Vietnam. Land Reforms took place. Ngo Dinh Diem proclaimed himself President of Republic of Vietnam (South Vietnam) in October. U.S President Eisenhower promised $100 million aid to Diem’s regime. The US also agreed to train South Vietnamese forces by reorganizing the Indochina Military Assistance Advisor Group (MAAG) to the specific MAAG, Vietnam. Land reforms were carried out in the North resulting in thousand executions and mass exodus to the South. Last French soldiers left South Vietnam. Diem backed by the U.S refused to participate in the unification election and launched a crackdown against Viet Minh sympathizers. The Viet Minh launched a campaign of guerrilla warfare in South Vietnam, assassinating more than 400 South Vietnamese officials. Diem started to arrest anyone suspected of being on the Vietminh’s side. The first US casualties in the Vietnam War were reported in a guerilla strike at Bien Hoa. The Ho Chi Minh Trail was first used. The National Liberation Front (NLF), also known as the Viet Cong, was established in South Vietnam. Kennedy was elected as the new President. Diem survived a coup attempt. Battle of Kien Hoa Province took place. Vice President Johnson visited Diem in Saigon. U.S President John F. Kennedy committed extra support for South Vietnam. 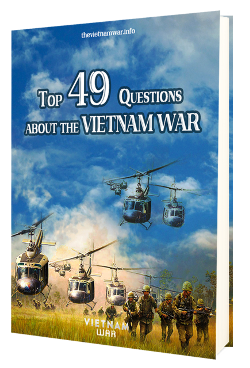 Operation Chopper marked the first combat missions of American troops against the Viet Cong. Agent Orange was first used by the U.S Air Force to expose trails and roads used by Viet Cong. Diem Palace Bombed in Coup Attempt. A senate voiced his doubt on South Vietnam policy that Diem had wasted 2 billion dollars the America had spent there. The number of US military advisors shot up from 700 to 12,000. Vietcong forces defeated South Vietnamese Army (ARVN) in Battle of Ap Bac. President Diem and his brother were murdered in a military coup while President Kennedy was assassinated in Dallas 20 days later. His vice president Lyndon Johnson assumed the presidency. 15,000 U.S. military advisers were in South Vietnam at the end of 1963. General Nguyen Khanh Seizeed Power in a bloodless coup in Saigon. The Gulf of Tonkin Incident occurred and the U.S. Congress passed Gulf of Tonkin Resolution in repsonse. Two days before the U.S. presidential election, Viet Cong attacked Bien Hoa Air Base near Sagion killing 4 Americans. Lyndon Johnson was elected as U.S. President. Operation Rolling Thunder began in February and lasted more than 3 years. The first U.S. combat troops arrived South Vietnam in March; The first main conventional battle between the U.S. and Viet Cong occurred at Ia Drang valley. There were over 200,000 U.S. troops in Vietnam by the end of the year. B-52s started to bomb North Vietnam. Martin Luther King spoke out against the war in a demonstration in New York. 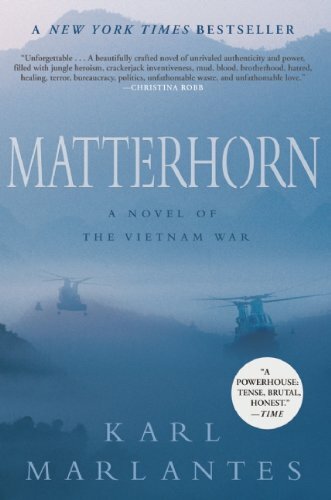 McNamara admitted North Vietnam bombing was ineffective. Nguyen Van Thieu was elected as President of South Vietnam. Bunker replaced Cabot Lodge as South Vietnam Ambassador. Number of U.S. troops in Vietnam increased to 400,000.
Who were Vietnam War leaders?